Table of contents: Getting started with .NET Framework; Collections; XmlSerializer; HTTP clients; Exceptions; LINQ; Networking; NuGet packaging system; Reflection; Dictionaries; HTTP servers; Settings; Task Parallel Library (TPL); Custom Types; etc. I wrote this book to help developers and people interested in web programming learn about ASP.NET Core 2.0, a new framework for building web applications and APIs. This short book is structured as a tutorial. You'll build an app from start to finish. This guide is an introduction to developing microservices-based applications and managing them using containers. To make it easier to get started, the guide focuses on a reference containerized and microservice-based application that you can explore. A comprehensive guide to .NET development technologies and application patterns. It details the available technologies for evolving and modernizing business applications that are core to the business and based on established patterns. This book shows you how to deploy an ASP.NET web application to a Windows Azure Web Site or another provider, by using Visual Studio 2012 or 2010. The sample application uses the Entity Framework, SQL Server, and the ASP.NET membership system. 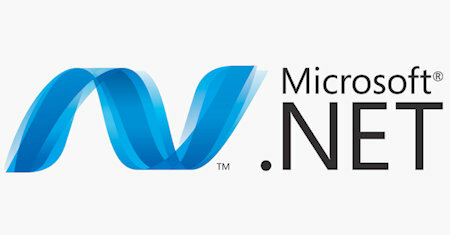 Microsoft .NET is Microsoft's platform for building secure, portable, connected applications. It provides a comprehensive and consistent programming model and a common set of API functions that you can use across many different platforms and devices. To write truly fantastic software, you need to understand how .NET memory management works. This book will take you from the basics of memory management, all the way to how the OS handles its resources, and will help you write the best code you can. The .NET Framework 3.0 has been created mainly as an extension of .NET 2.0. Hence, most of the features of .NET 2.0 would be workable with .NET 3.0. Migration from .NET 2.0 to .NET 3.0 is easy as it involves only the upgradation of the features. If you're new to .NET, this introductory guide will quickly get you up to speed on the tools you need to build user interfaces with Microsoft's new design language, code-named Metro. Get tips for having your app published in the Windows Store. This book takes you on a journey through the wonderful world of FitNesse, a great web-based tool for software acceptance testing. FitNesse enables software developers and business people to build a shared understanding of the domain. F# is a .NET implementation of OCaml, a well-known functional programming language. Some of F#'s notable features include type inference, pattern matching, interactive scripting and debugging, higher order functions, and more. This guide provides everything you need to get started with Prism and to use it to create flexible, maintainable Windows Presentation Foundation (WPF) and Microsoft Silverlight applications that can evolve over time based on changing requirements. This book teaches you the five traits every successful developer should possess, gives tips on how to improve your overall marketability, teaches you how to write an effective resume, and prepares you for a technical interview. You are holding in your hands a book that will make your life as an enterprise developer a whole lot easier. It's a guide on Microsoft Enterprise Library and it's meant to guide you through how to apply .NET for enterprise development. A book that introduces .NET programmers to patterns for including parallelism in their applications. Examples of these patterns are parallel loops, parallel tasks and data aggregation with map-reduce. Each pattern has its own chapter. This is a book that will help professional developers move from previous versions of Visual Studio. It will cover the features of Visual Studio 2010 through an application. It will go through a lot of the exciting new language features. This guide shows you how to get the most out of Visual Studio 2005 Team Foundation Server to help improve the effectiveness of your team-based software development. You'll find guidance and insights you can tailor for your specific scenarios. An overview of the .NET Framework and the C# and Visual Basic .NET languages. The author provides plenty of 'how to', 'step-by-step' and 'best practices' information that will help you climb the .NET learning curve and get up and running quickly. This book provides architecture-level and design-level guidance for application architects and developers that need to build distributed solutions with Microsoft .NET Framework. This guide assumes you are familiar with .NET component development. This guide addresses specific goals of presentation layer component design. It provides code samples that enable you to use design patterns and Microsoft .NET Framework programming idioms effectively in the presentation layer of your applications. The book will guide the developer through using the VS .NET IDE, the Visual Basic .NET and C# language, and the supporting tools available from Microsoft to create Windows and Web-based applications. Written for beginners and experienced developers. This guide gives you a foundation for designing, and configuring secure ASP.NET Web applications. Whether you have existing applications or are building new ones, you can apply the guidance to help you make your Web applications hack-resilient. The book embraces existing work in the patterns community, contributes new patterns, and implements these patterns in .NET. Included are an introduction to patterns and a catalog of 32 architecture, design, and implementation patterns. This book covers the building blocks of the COM and .NET architectures, internal aspects of COM /.NET interoperability, teaches readers on how to build custom COM /.NET conversion tools, covers Win32 API, C DLLs from .NET applications, and more. Dissecting a CSharp Application teaches advanced techniques of .NET programming by getting an insiders' look at the complete Integrated Development Environment, SharpDevelop, written in C#. It includes all advanced features of a modern IDE.